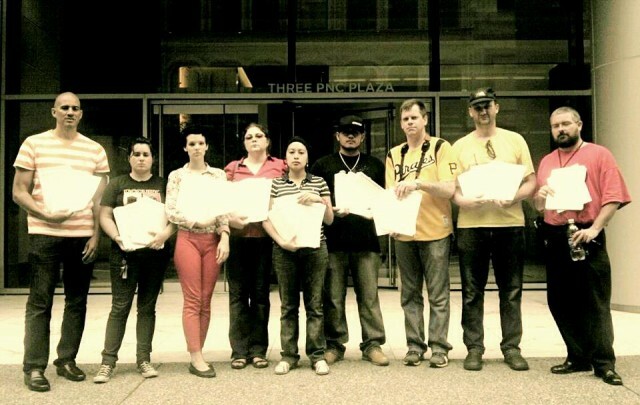 Members of the Cruz family and Occupy Homes MN hold up petitions of support signed by 175,000 people. Photo by Occupy Homes MN. This story is from the Occupied News Wire. It originally appeared in the Occupied Wall Street Journal. This week in Occupy, the Cruz family was rebuffed by PNC Bank, Rio + 20 was mic-checked and #occupied, Egyptians took to the streets to demand an election and occupiers nationwide saw convictions and dismissals stemming from last Fall’s raids and evictions. #Back at the Cruz home in South Minneapolis, a rally in protest of the bank’s inaction resulted in the arrest of 13, including local rapper Brother Ali. In Atlanta, about 30 people from Occupy Our Homes Atlanta entered a Buckhead branch of a PNC Bank to protest the bank’s treatment of the Cruzes. Solidarity rallies were planned in Baltimore, Cincinnati, Detroit, Gainesville, Greensboro, Milwaukee, New York, Newark, Philadelphia and St. Louis. 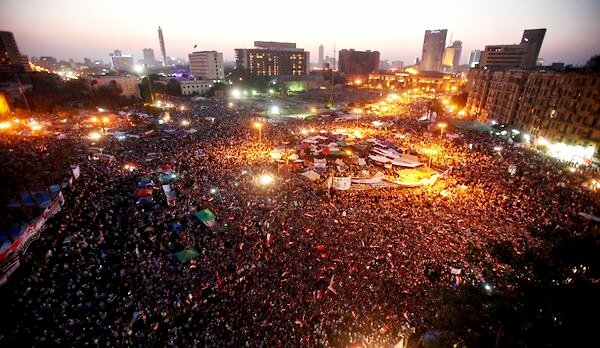 #Nine days after the dissolution of the Egyptian Parliament – after which hundreds of thousands of protesters poured into Tahrir Square demandingthat generals cede power to elected civilians at the end of the month as they had promised – Mohamed Morsi of the Muslim Brotherhood was officially recognized as the winner of Egypt’s first competitive presidential election. #Two members of the Occupy Movement disrupted the final press briefing of the United Nations Rio+20 Earth Summit on Sustainable Development, denouncing the final document as not representative of the voices in struggle against the degradation of the environment, a conclusion also arrived at by several NGOs. Occupiers then held a Peoples’ Assembly on the UN summit grounds for three hours, during which activists, including Bill McKibben, concluded the summit was a failure. There were no arrests. #Seven Occupy Wall Street protesters – including Episcopal bishop George Packard– were convicted for trespassing on property allegedly owned by Trinity Wall Street, an Episcopal church and powerful Lower Manhattan landlord, during an action on December 17. An eighth defendant, Mark Adams, was convicted of trespassing, attempted criminal mischief and attempted possession of burglary tools, making him Occupy Wall Street’s first activist convicted and sentenced to jail time in a group trial. #Eleven Occupy DC members have been convicted of disobeying police after they attempted to build a wooden structure, dubbed the “Occubarn,” in McPherson Square in December. #Charges have been dropped against the final Occupy Phoenix protesters accused of trespassing and loitering at Margaret T. Hance Park in mid-October. #The city of Houston has dismissed the misdemeanor charges against six of the eight Occupy Houston protesters arrested in Tranquility Park in November. Supporters gather at the Hartford Community Court in support of an Occupy Hartford member arrested for recording the police. #The U.C. 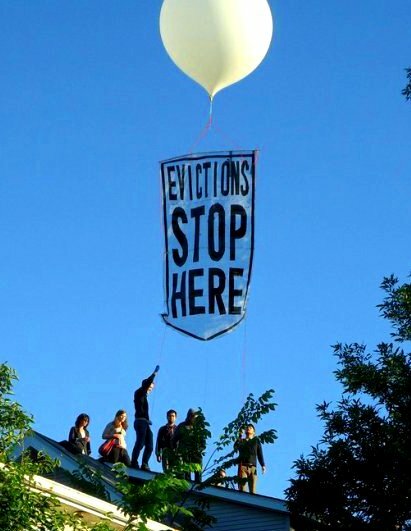 Board of Regents has dropped its lawsuit against 15 members of Occupy the Farm arrested during the May 9 raid of the Gill Tract, an #occupied parcel of land owned by U.C. Berkeley. “We are not at all surprised that U.C. has walked away from what amounts to a frivolous lawsuit against a group of community activists committed to promoting sustainable urban agriculture on public lands,” Stefanie Rawlings, one of the lawsuit defendants, said in a statement. #Occupy Wall Street made a surprise appearance at the annual Mermaid Parade on Coney Island, a summer staple that pays homage to the Coney Island Mardi Gras parades of the early 20th century. #The California Nurses Association launched their statewide Medicare For All Tour in San Diego on June 19. 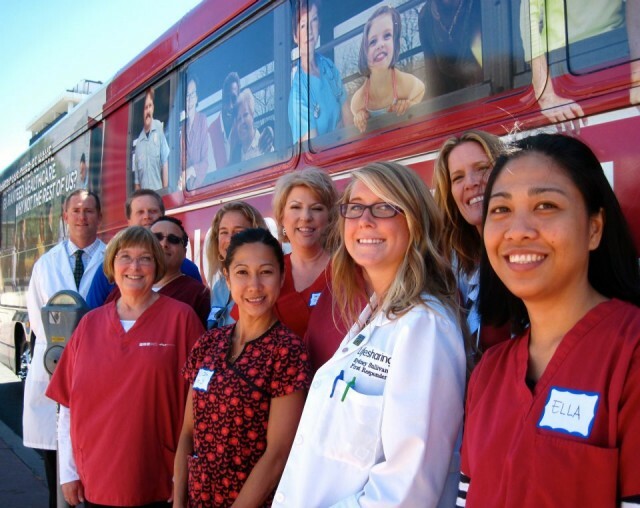 The traveling clinic, which will offer health screenings, wraps up in West Covina on July 12. The California Nurses Association kicks off their Medicare For All Tour 2012. 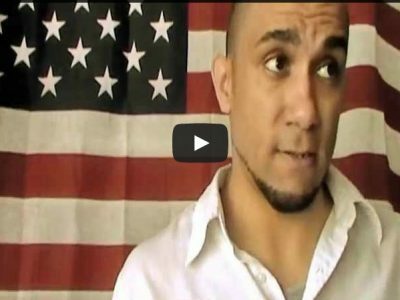 #George Martinez, a Brooklyn Congressional candidate running on an Occupy platform, caught his opponent in a lie during a televised debate. Despite her claim to the contrary, she did, in fact, vote to repeal the Glass-Steagall Act in 1999. #After Occupy Riverdale spent the month of June fighting to save 37 families from homelessness, the Riverdale Mobile Home Village in Jersey Shore, Pennsylvania, was demolished to make way for a pumping station to withdraw up to three million gallons of water a day to send to natural gas companies that use fracking. #Seventeen members of Occupy New Hampshire appeared in court to face curfew violations stemming from the eviction of their Veteran’s Park encampment in October. As a defense, they used the Right of Revolution, as set forth in New Hampshire’s constitution. #Cameron Whitten, a former Occupy candidate for mayor of Portland, Oregon, has been on a hunger strike for nearly a month in an attempt to highlight housing issues. #Occupy Tampa was flooded by a tropical storm and they need our help. #A month and a half after police swept away the last of Occupy Lincoln, Nebraska, a 3-foot-tall marijuana plant has cropped up in its place. 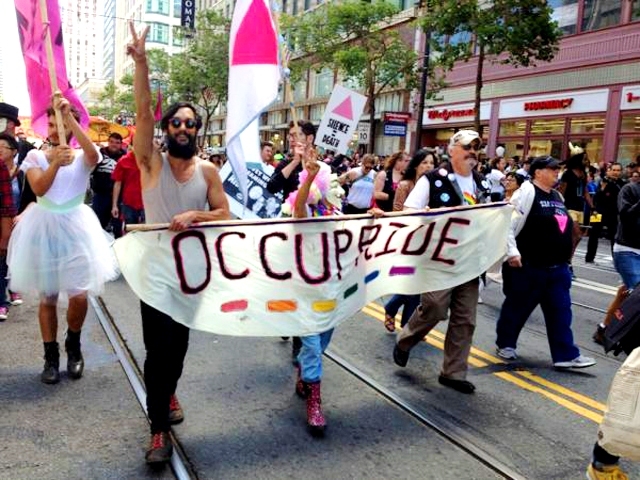 OccuPride #occupied the San Francisco Pride Parade. Photo by Liz Highleyman. #A hundred members of OccuPride, the Occupy movement for Gay Pride, temporarily blocked the San Francisco Gay Pride Parade and staged their own demonstration. #Members of the national Occupy Movement joined Occupy Birmingham to protest in front of Alabama Power in an attempt to persuade the utility to stop lobbying against the Clean Air Act. #On June 19, Occupy LA, Veterans for Peace, Arlington West and Code Pink staged a protest against the U.S. war economy in front of weapons manufacturers in El Segundo. #The Occupy Upstate Conference was hosted in the aptly named Perseverance Park in Syracuse on June 16. Among the attendees was former Philadelphia police captain Ray Lewis. Attendees of the Occupy Upstate Conference gather in Syracuse on June 16. Photo by John Washington. #Occupy Chicago is working to help employees of a staffing agency that abruptly closed, leaving employees without jobs and owed wages. #Parents protesting the closure of five Oakland elementary schools that predominantly serve under-represented minority groups have built an encampment at Lakeview Elementary, which they have#occupied for the past ten days despite being ordered to disperse by the school district police force. On June 23, nearly 200 protestors showed up for a 1.7 mile protest march. #On July 4, #MicCheckWallSt, a Seattle-based think tank, will be throwing thousands of dollar bills into the streets of Seattle printed with messages urging a ban on corporate money in elections. A #MicCheckWallSt casserole march on June 20 ended with police brutality. #The Occupy-spearheaded rise of alternative education continues, as the Occupy Los Angeles Freedom School in California and the Paul Robeson Freedom School in New York open their doors. 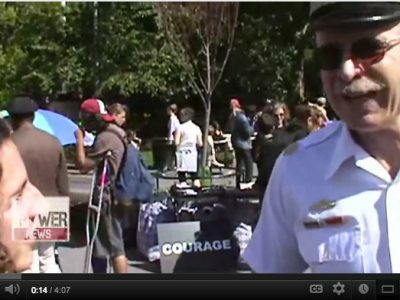 #Owen Deutsch and Caroline Gray, two 14-year-old Chicago high school students,made a documentary about Occupy Chicago. Two women protest male lawmakers’ juvenile censorship of their female counterparts. Photo by Occupy Dallas. #Playbill has responded to a call by the OWS Arts & Labor working group to end the theater listing service’s practice of posting classified ads for unpaid internships at for-profit companies by revising its terms of service. #Demonstrators who have been staging nightly flash occupations at the CCA lobbying group in downtown Los Angeles for nearly a month are regularly raided and arrested. Clients of the CCA, or Central City Association, include Bank of America, Wells Fargo, Boeing, Target, US Bank, Verizon, Chevron, Walmart and AT&T, and their money buys them the ear of the City Council and the mayor, making them the shockingly overt bridge between money and politics. #A group of demonstrators populated by members of Occupy Little Rock and the Occupy Caravan protested at a Bank of America and marched through downtown Little Rock on June 18. 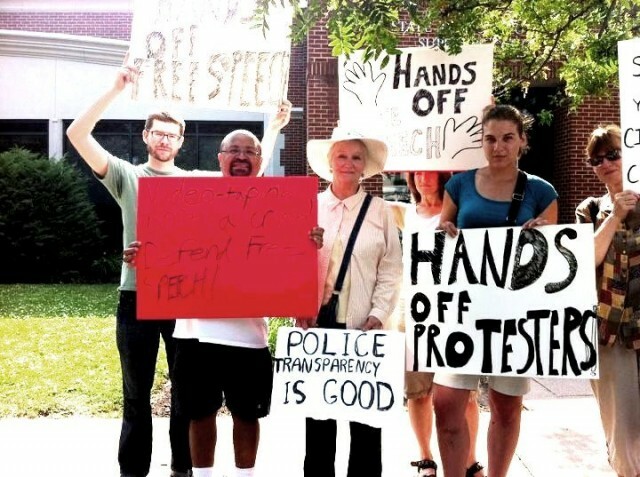 #Members of Occupy Raleigh held a rally outside the executive mansion on June 18 to encourage Gov. Beverly Perdue to veto a bill that allows fracking in the state. #The Occupied Chicago Tribune has completed its response to the Chicago Tribune: “This is a case about the fundamental human right of political speech,” the editors argue. #The Vermont Federal Credit Union, Vermont’s fourth largest credit union, now has an Occupy Burlington participant on its board. #A dozen members of Occupy Frederick, Maryland, are staging a hunger strike to protest cuts to the Postal Service, arguing that government mandates have caused drastic financial issues for the already deprived agency. Some of the protesters include retired postal carriers, who plan on speaking with legislators. #The three men arrested before the Occupy NATO protests now have at least a half-dozen new charges in their indictments. 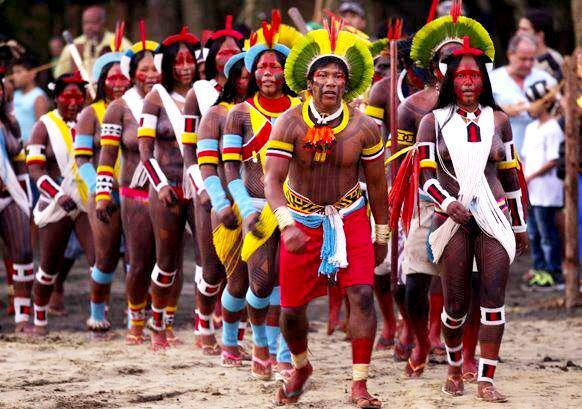 The indigenous Kayapo people of Brazil protest the Belo Monte Dam at Rio+20. #A coalition of community and religious groups, health-care unions and members of Occupy Chicago, who have been on a hunger strike for the last two weeks demanding organ transplants for the undocumented, has convinced University of Illinois Chicago Medical Center to give Mexican immigrant Lorenzo Arroyo, 36, a kidney transplant. #Occupy Newfoundland and Labrador staged a protest before the House of Assembly against Bill 29, which places tighter constraints on what documents can be released to the public. #A group of Spanish activists hasraised a large private fund to pay for a civil action against Rodrigo Rato, the disgraced former chairman of Bankia, one of the banks at the heart of the Spanish financial crisis. #On June 24, 20,000 people gathered in Tokyo to protest the Japanese government’s unilateral decision to restart two nuclear reactors. #The Berlin Biennale partially adopted Occupy Wall Street‘s horizontal power structure. 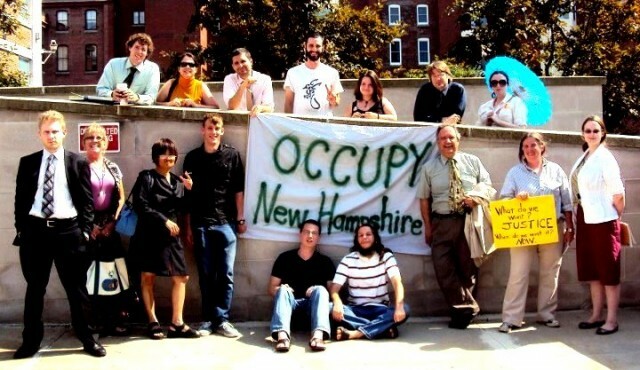 Occupy NH defendants and supporters outside Manchester Courthouse on June 22. #After a forced government land acquisition in Singur in West Bengal, an Indian lawmaker said he wants to organize an Occupy Singur movement on the lines ofOccupy Wall Street for the benefit of victimized rural farmers. #In a protest staged by Occupy Balok-Gebeng, hundreds of Malaysian demonstratorstook to the streets of Kuala Lumpur with funeral banners and signs demanding the government revoke a decision earlier this week to allow a rare-earths mine to go forward. #A new report from Global Witness reports that in the past decade, 711 environmental activists have been killed while defending land and forest rights. The number has almost doubled over the past three years. #Hackney has become the latest London borough to be #occupied as protesters erected tents in Shoreditch Park after Islington Council removed the large protest camp from Finsbury Square. #Police in Bolivia have committed mutiny over low pay and almost nonexistent pensions. #6,000 Israelis took to the streets of Tel Aviv to protest police brutality, and many received a hefty dose of it: 85 were arrested. Egypt, June 22. Photo by Asmaa Waguih. #Grandparents wearing reflective vests and carrying signs decrying the Spanish bailouts took to the streets of Barcelona – and then to the German consulate – to protest against Germany’s position in the Euro crisis. #The Occupy Movement has spurred police to wear body cameras with which to record protesters. 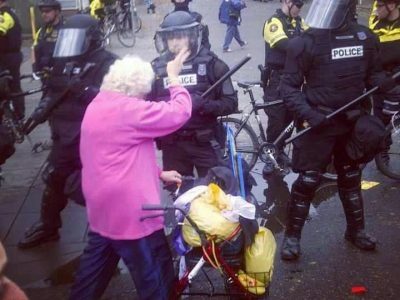 #Federal officials have yet to respond to two United Nations human rights envoys who formally requested that the U.S. government protect Occupy protesters against excessive force by law enforcement officials. #The U.S. media has been writing obituaries for Occupy, but Truthout reports that Occupy is in fact active all over the country – it’s just being ignored by the corporate media. Its soul, however, is up for grabs, Rolling Stone reports. And Stonewall was organized much better, The New Yorker opines. #A Design Miami/Basel exhibition called “Occupy Chairs,” comprised of replicas of signs used during the Wall Street protests, was marketed to the richest of the art festival’s attendees for $3,500 apiece. 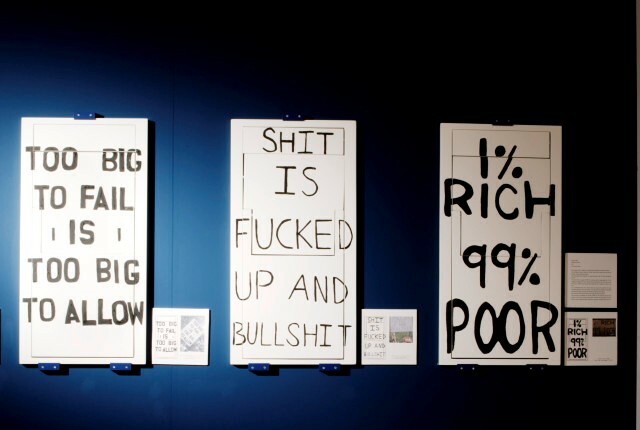 These Occupy Wall Street replica protest signs sell for $3,500 apiece. Photo by Cristina Grajales Gallery. #Congress has a matter of days to work out a compromise or interest rates on some federal student loans will double. #Oregon Senator Ron Wyden stepped in to stop the renewal of the NSA wiretap program because the government refuses to say how often the spy powers are being used. #In this must-read Op-Ed, Montana Governor Brian Schweitzer explained how Citizens United nullified his state’s 110-year-old ban on corporate campaign donations. #Bill Moyers focused his lens on dark money in politics. #130 members of Congress or their families have traded stocks collectively worth hundreds of millions in companies lobbying on bills that came before their committees, a practice that is permitted under current ethics rules, a Washington Post analysis found. #Some Wall Street tactics were gleaned from the Mafia, Matt Taibbi reports, and banksters have no problem employing them. #The Republican National Convention is coming to Tampa in August, but it seems that most of the protesters will not be sticking to Tampa’s guidelines concerning protests. #A group of Tampa residents is collecting signatures to toss Occupy Tampa off the private lot they’ve been occupying since December. #Oakland’s Mayor Jean Quan could be forced to personally pay fines if Oakland again misses deadlines to complete Oakland PD’s internal affairs investigations. #New York Congressman Jerrold Nadler said he “never got a satisfactory response” from the Justice Department regarding a potential probe into the NYPD’s handling of the Occupy Wall Streeteviction. 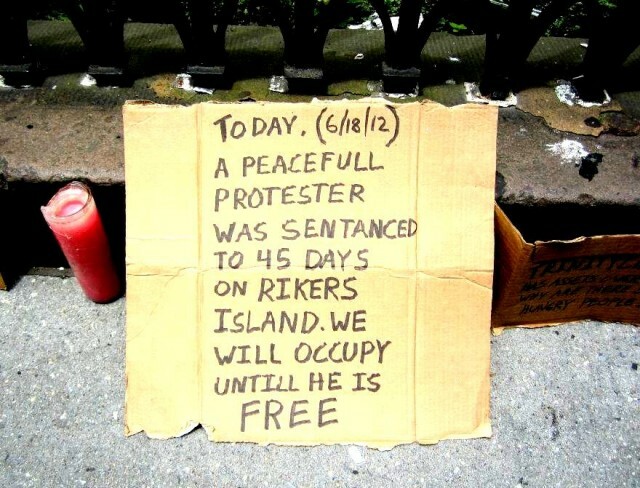 A sign in New York decrying the conviction of peaceful protesters. Photo by Stacy Lanyon. #For the third year in a row, New York has declined to join the National Popular Vote Interstate Compact, an agreement between participating states to effectively supersede the electoral college by awarding their electoral votes to the whichever candidate wins the most votes nationwide. #Liberals are urging Obama to go after Wall Street with gusto. #The Canada Border Services Agency will soon monitor travelers with high-definition cameras and use microphones to listen in on their conversations. #The U.S. government spends more on corporate subsidies than social welfare programs. #Following a landmark Freedom of Information lawsuit, federal authorities were forced to reveal that there are at least 63 active drone sites around the U.S.
#Governments, banks and households struggling with too much debt are dragging down the world’s economy and more needs to be done to make the banking system safer, a global organization of central banks has warned. #A proposal by Corrections Corporation of America to housemore than 1,500 undocumented immigrants in South Florida suburbia has pitted two towns against one another and prompted a federal lawsuit. 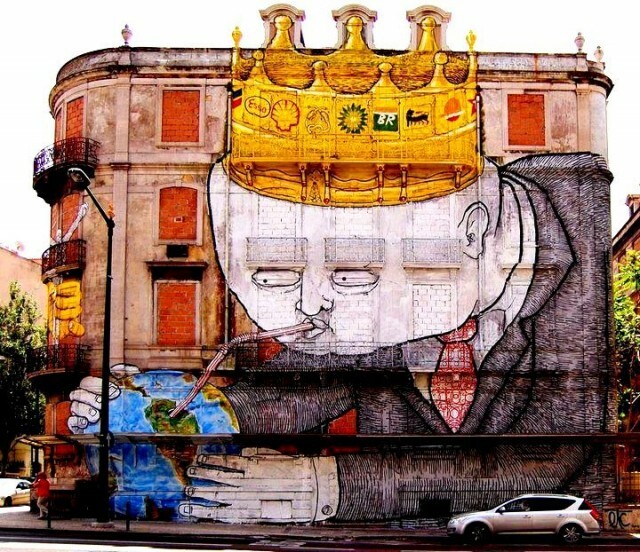 An illustration of contemporary capitalist society on a building in Lisbon. #The economist Joseph Stiglitz explains how bad policy has contributed to the great economic divide. #Dell became the 24th group to drop out of the American Legislative Exchange Council, or ALEC. #Berkeley, California, became the 15th city to reject the NDAA. Track NDAA repeal efforts across the country. #The Berkeley Police Department and City Council have stated that they will no longer honor an agreement with U.S. Immigration and Customs Enforcement to hold illegal immigrants for minor offenses. #Corporate profits just hit an all-time high while wages hit an all-time low. #Since 2000, the number of people living in “extreme” poverty — incomes totaling less than half of the federal poverty line — has climbed by 50 percent. #The Department of Justice can’t seem to prosecute the major players, banks and investment shops responsible for the financial fraud that nearly toppled the world economy and is still choking the U.S. economy, but it can fly FBI agents back and forth across the country to try to prove that a baseball player took hormones. #Surprise, surprise: The eviction of the homeless in Los Angeles’s famed Skid Row is being driven by the business lobby. 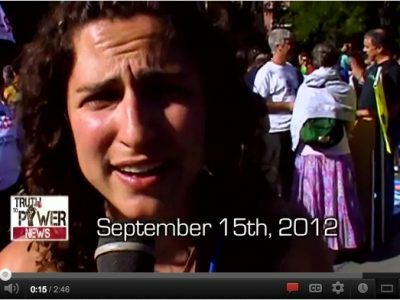 #The Occupy National Gathering is almost here – just in time for a heat wave. Here’s how to keep cool. #Visit the OWS Info Tent for information about occupations worldwide. 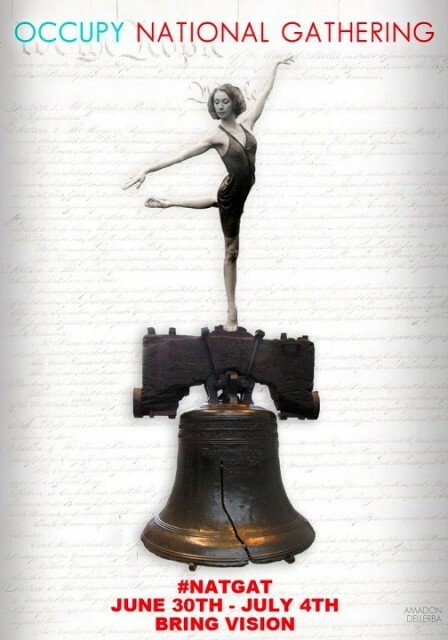 #Care to glimpse what America could have been? Here’s FDR reading his Second Bill of Rights, which he died before he could implement. #“American Autumn: an Occudoc” will premiere June 26 in Brooklyn. #Occupy Iowa plans to protest the World Food Prize in Des Moines this October. #Join a march against Wal-Mart in Los Angeles on June 30. #According to Occupy Arrests, 7,308 people have been arrested protesting corporate greed since September 17. Want to report news about your occupation or meetup? Email me at [email protected]. This week’s roundup was brought to you in conjunction with Occupy ALL the Updates, curated by citizen journalist SIUKittyPie, and Occupier and journalist Kelli Daley.